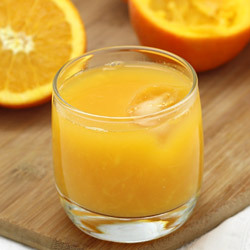 Many people ask, which juice is better, apple or orange? Well, we say that both are equal. Apple orange juice combines the goodness and nutrients of both apple and orange into one, giving you best of both the worlds. 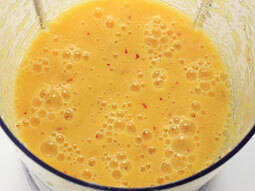 In addition to these, this recipe also uses honey to increase the health quotient. Cut apple into large pieces and remove the core. Cut oranges into halves and remove seeds. Remove the skin of oranges and cut into large pieces or squeeze out the juice of orange either by squeezing it of using electric citrus juicer. 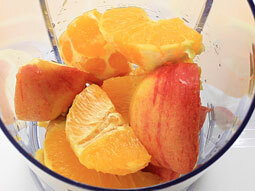 Add 1/2 to 3/4 cup water, apple pieces and orange pieces (or squeezed juice from oranges) into a blender jar. Place a fine mesh strainer over a large bowl. Pour the juice over strainer. 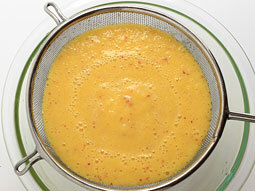 Use the spatula and gently press the puree to squeeze all the juice out of the pulp. 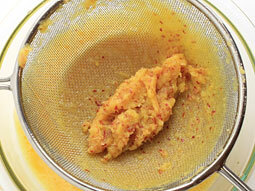 Discard the remaining fibrous pulp. 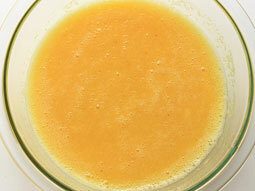 Add honey into prepared orange apple juice and mix well. Pour it into serving glasses drink immediately to get maximum nutrients. Cut apple into large pieces and remove the core. Peel the oranges and separate sections. 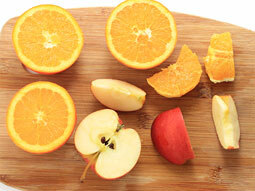 Pass orange and apple pieces alternatively through a juicer and collect the juice. Discard the fibrous pulp. Add 2 carrots or a small piece of ginger for variation. If you don’t have a fine mesh strainer, pour prepared puree into a nut-milk bag or cheesecloth over a large bowl and squeeze it out gently to get the juice. Serving Ideas: It is an ideal drink for breakfast or anytime you like it. 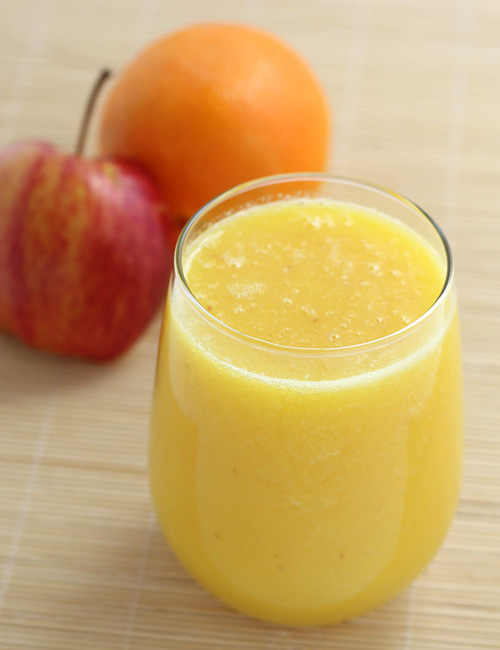 Cool and replenish your body with this juice on a warm summer evening or after a trek on weekend outing. Dear, you give me a good information and it is help me to provide variety product for my customers. Delicious and easy juice recipes!